The Martingale is the most popular betting strategy for players looking to make easy money. This is because it is easy to learn and use especially for amateurs. The betting strategy originated in the 18th century in France. Originally it was designed for games that required gamblers to choose heads or tails to win. Heads resulted in a win while tails brought loses. In the event of a loss, the player was required to double the original bet, and he would recover previous losses in case he won. Martingale remains a popular strategy in the roulette where the probability of hitting black or red is close to 50%. The text elaborates how to use this betting strategy in your favour. This roulette strategy is ideal when playing even-money outside bets like the 1-18, 19-36, the Black, Red, Even and Odd because they have the maximum odds of winning (near 50%) and the lowest payout of 1:1. As such, you win the same amount you bet. Using this betting strategy is pretty straightforward as you only need to place a bet in one of the outside bets. Start with a small stake, (preferably the table minimum) and keep betting until you win or lose. In case of a loss, double the size of the bet for the next spin, and if you win, you recover the monies you lost on previous rounds. In case of a losing streak, you have to keep on doubling your bet until you have made a win. After a win, you restart by betting on the smallest amount for the next spin. An example can explain how to use this strategy better. Let’s say a player bets one chip on red and the ball lands on black. If he had placed 5GBP, he loses this amount and should place double this bet, i.e., bet 10 GBP for two chips on red. If he gets red after a spin, he wins the two chips and recovers what he had lost in the first round. If black shows again, you’d have to double the chips and bet four chips on red. There’s no guarantee of winning every time you double the bet hence, run the risk of going broke. Online gambling companies understand this too well and have set a minimum and maximum bet limits to 500-1000 GBP on a £ 5 table. Additionally, experts recommend using this strategy for short-term play, say 1-2 hours; not longer. The longer you play, the higher the probability of losing. If you are playing the roulette where you are required to place a £5 bet on red and play 30 spins for an hour, you are likely to win 16 GBP, 46% of the time if you have a total of £1,000 for playing. The gambling company has a house edge of 54%. 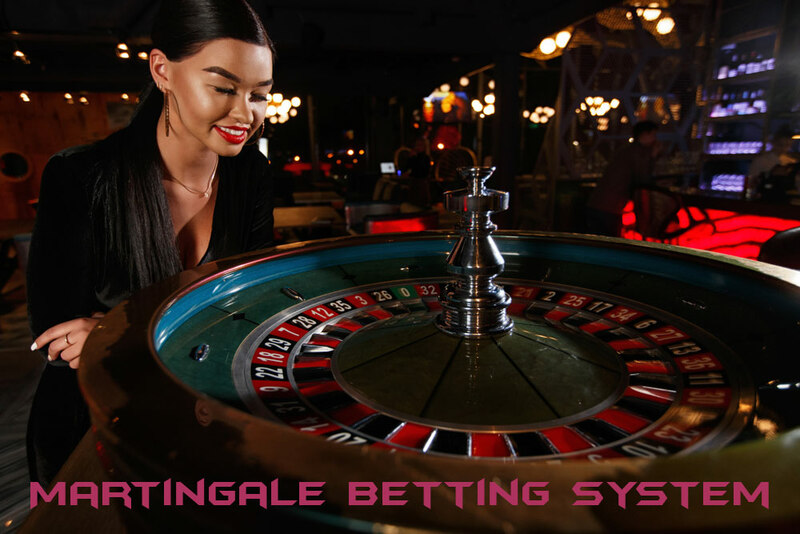 When using the martingale betting system, you are required to double the betting amount after every loss hence, your chances of winning increase to 82%. They roulette variant you are playing also affects your chances of winning. The American Roulette has the 0 and 00 while the European roulette uses 0 only. This means that the house edge on the European Roulette is lower than the American Roulette. The European wheel usually has a house edge of 2.7%, and it offers a surrender feature that allows players to lose only half the bet if the ball lands on 0. The feature also reduces the house edge to 1.35%. As earlier highlighted, the longer you play, the higher the chances of making losses. Extended play also increases your chances of losing your bankroll or running up against the table limit. For example, if you are playing in an eight-hour session (using the previous example), your chances of winning using the martingale betting system are reduced to 38%. Your bankroll should be large enough to allow you to double up your bets in case you are on a losing streak. Using the previous example, you have an 82% chance of winning if you are using a bankroll of 1,000 GBP on the table. However, if you bring 500 GBP to the table, your chance drops to 72%. Outplaying professional Poker players with artificial intelligence – Is technology officially taking over?